Wild Eye Releasing runs rings around MAD MAX this December with director Brett Bentman’s post-apocalyptic thriller APOCALYPSE ROAD. 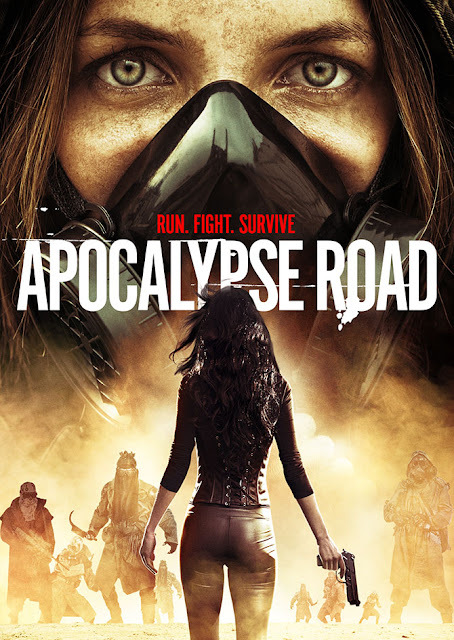 Fuel up on a powerful mix of THE ROAD and FURY ROAD as APOCALYPSE ROAD chronicles the tense journey of two sisters separated during a post-apocalyptic depression. A sweat-inducing story about the instinct of human survival and unbreakable bonds, the film stars Katie Kohler (Subterranea), Ashlyn McEvers (22 Jump Street), Billy Blair (Machete, Machete Kills) and Nellie Sciutto (Shutter Island). Following a post-apocalyptic event, two sisters are hunted down and separated by a gang of ruthless killers intent on creating their own twisted form of law and order. The sisters must fight through this new, dangerous world to stay alive in the hopes of being reunited, and escaping to freedom. Written and directed by Brett Bentman (THE NIGHT BEFORE) (2017), APOCALYPSE ROAD premieres on VOD 5th December 2017 from Wild Eye Releasing.